Beautiful guesthouse on storybook Ranch! 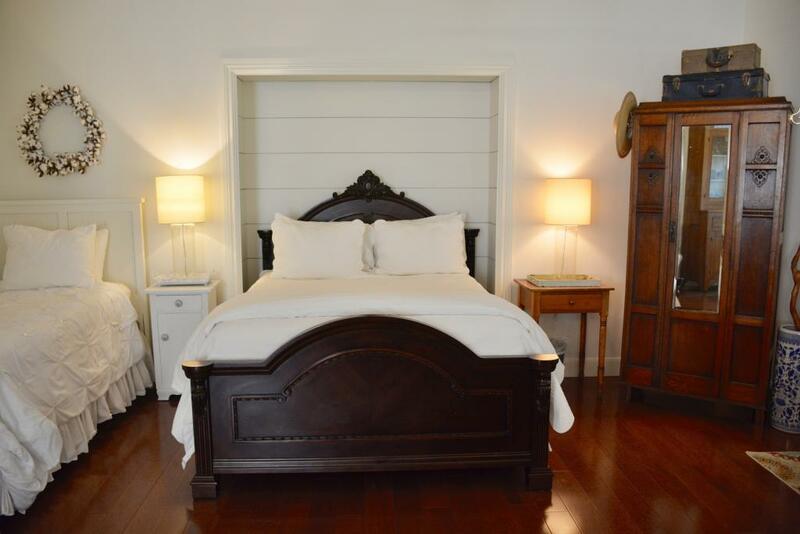 Beautiful Suite with King Bed, BainUltra clawfoot air-bath (jacuzzi) for two, traditional separate shower, wetbar with coffeemaker and small fridge. Antique dining table, living area and tv/dvd. 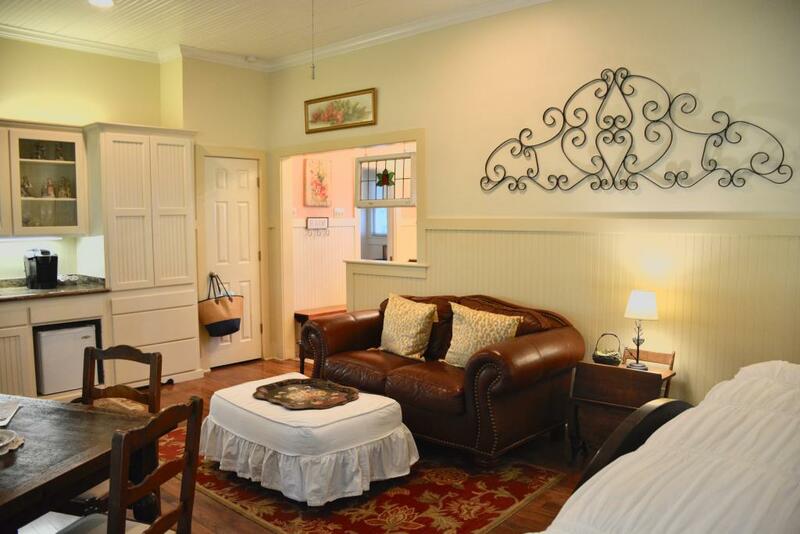 "The Star Suite" has a living, dining, full kitchen, combination shower/tub and luxurious queen bed, twin bed and a twin sleeper. 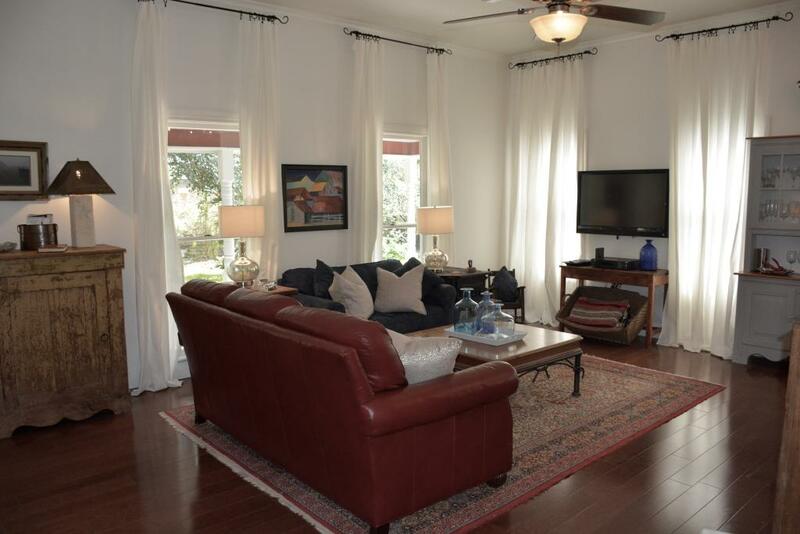 Spacious for two and comfortable up to four. 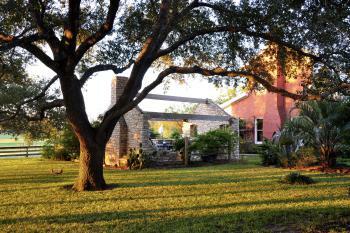 Beautiful guesthouse on storybook ranch in beautiful Chappell Hill. 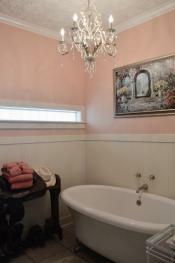 Stay in the Rose Suite or the Star Suite. 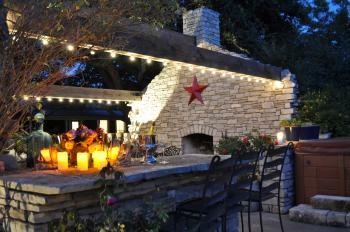 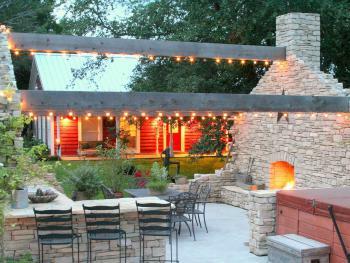 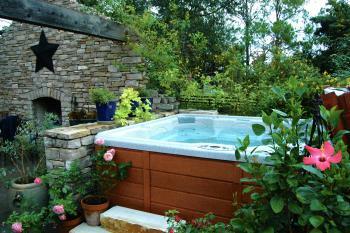 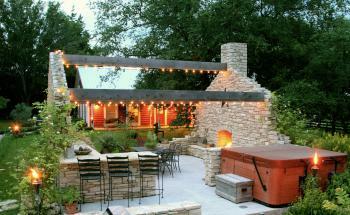 Stone Pioneer Outdoor kitchen with fireplace and spa. 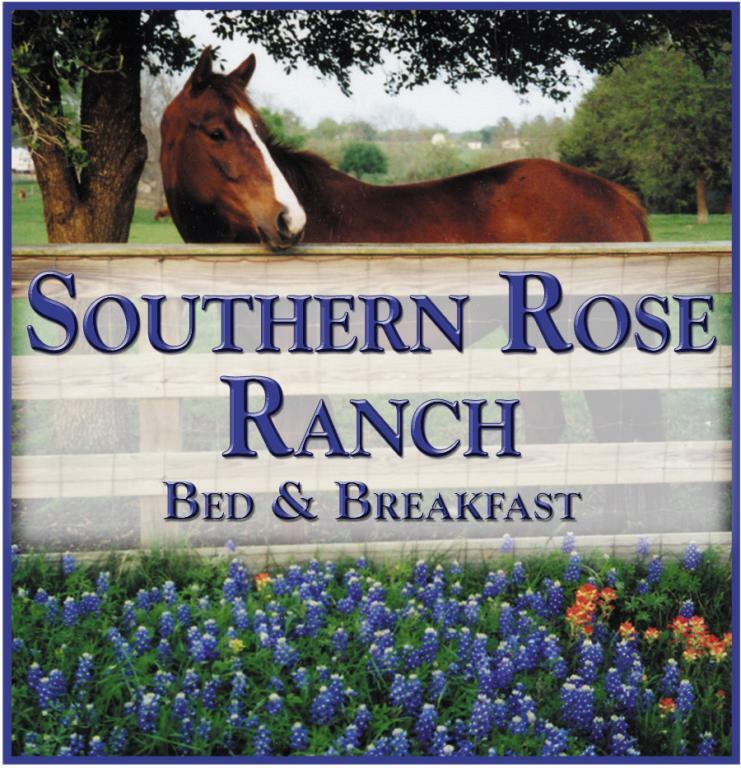 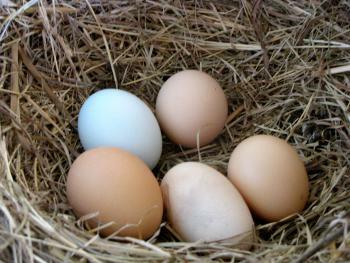 Gourmet breakfast with farm eggs, Blue Bell ice cream & appetizer. 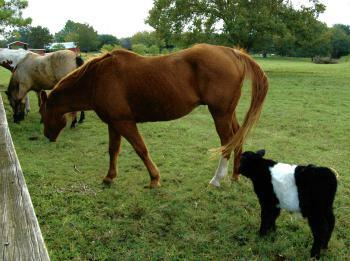 Belted Galloway cows and horses grazing in pasture. 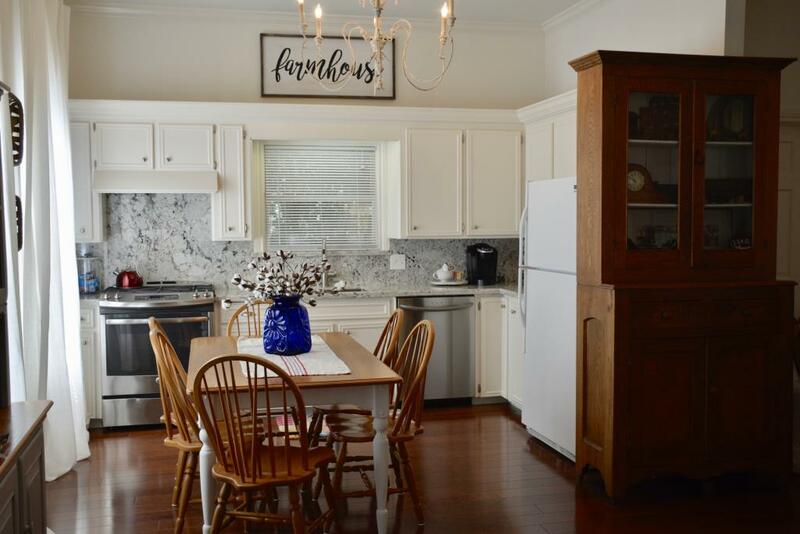 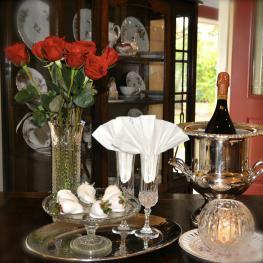 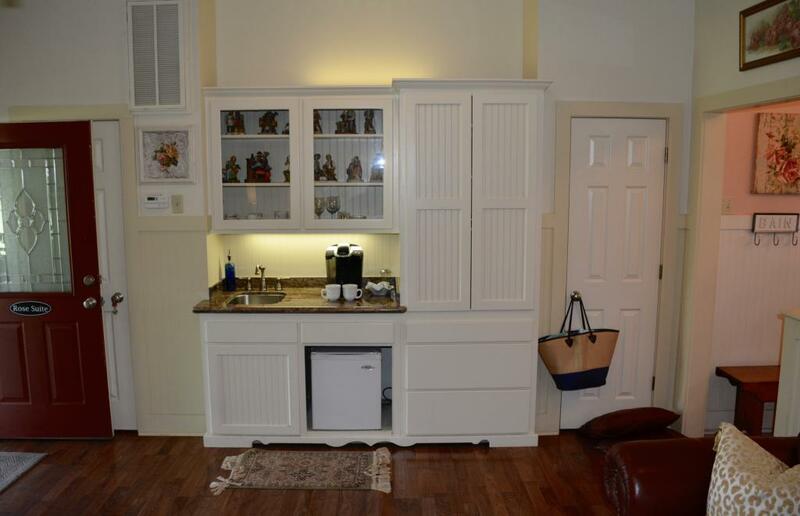 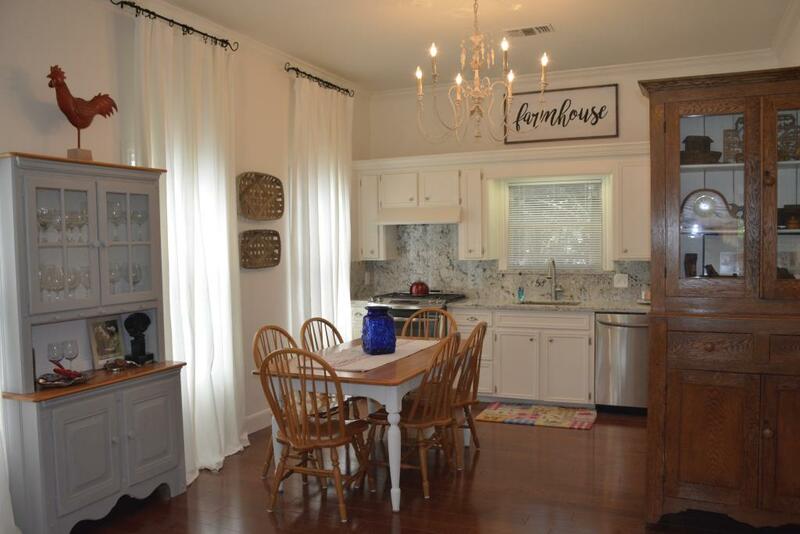 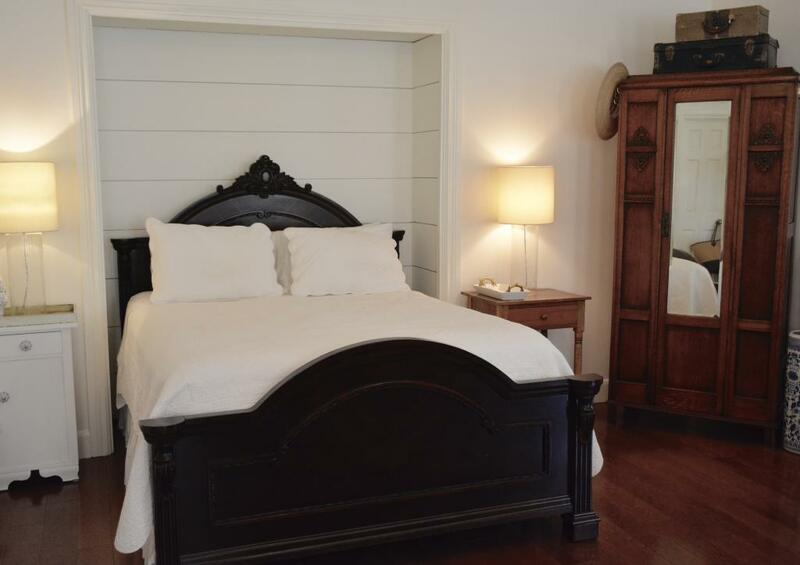 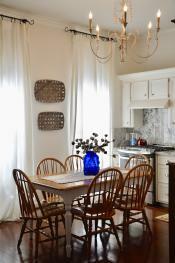 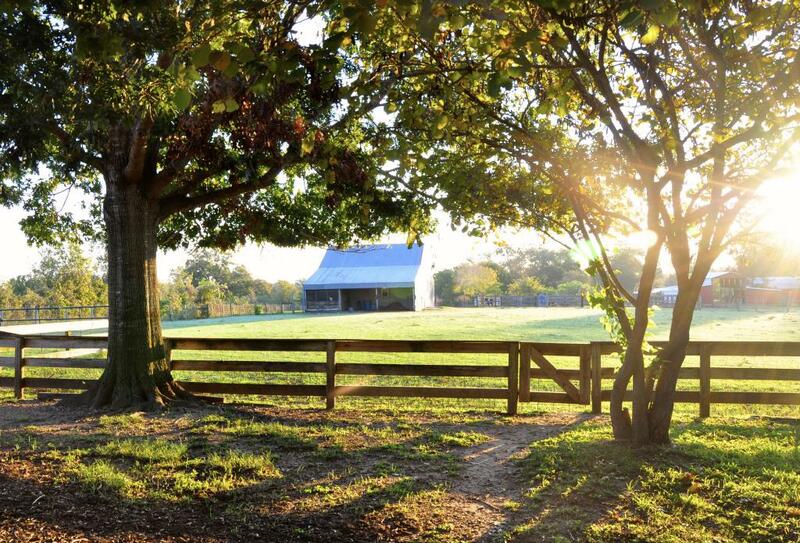 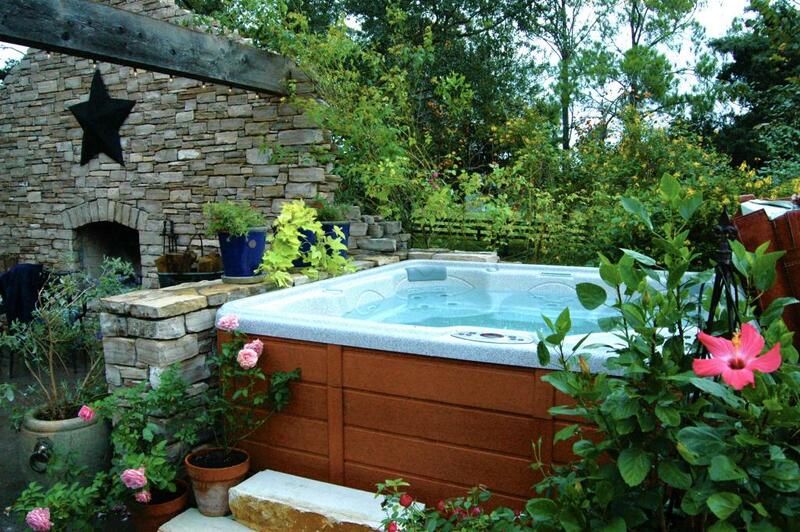 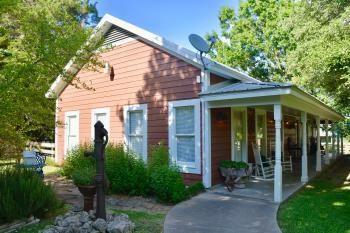 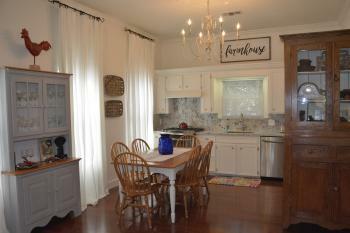 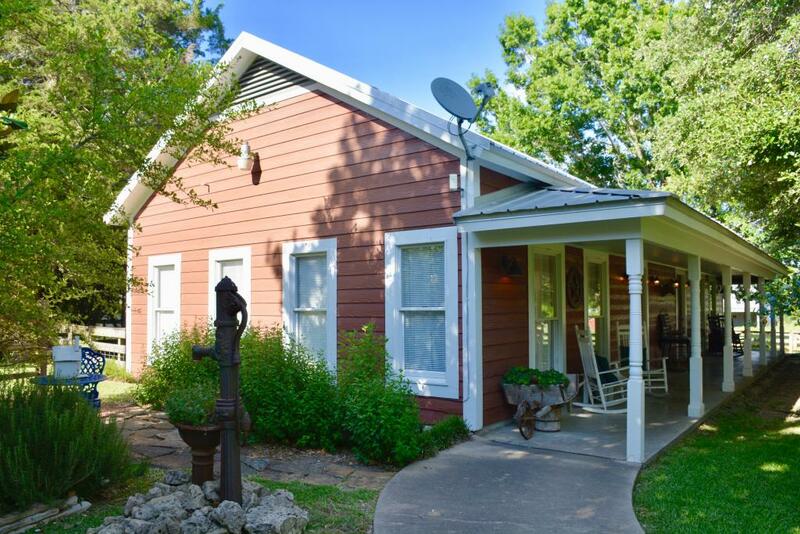 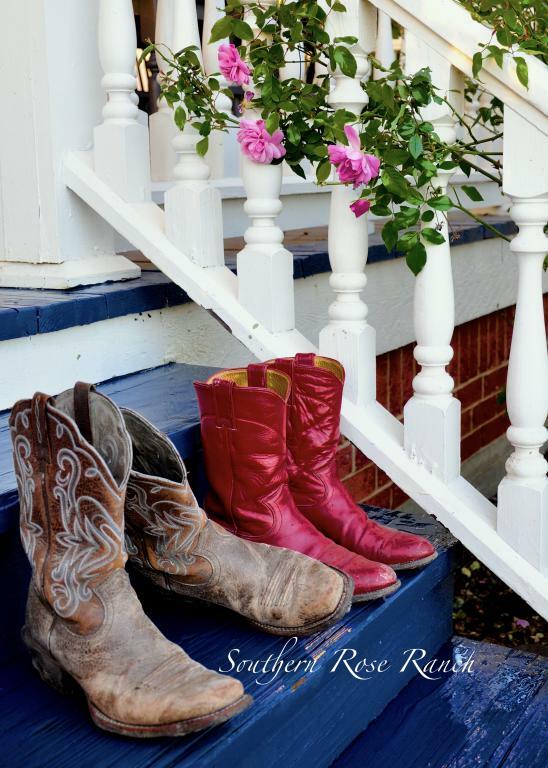 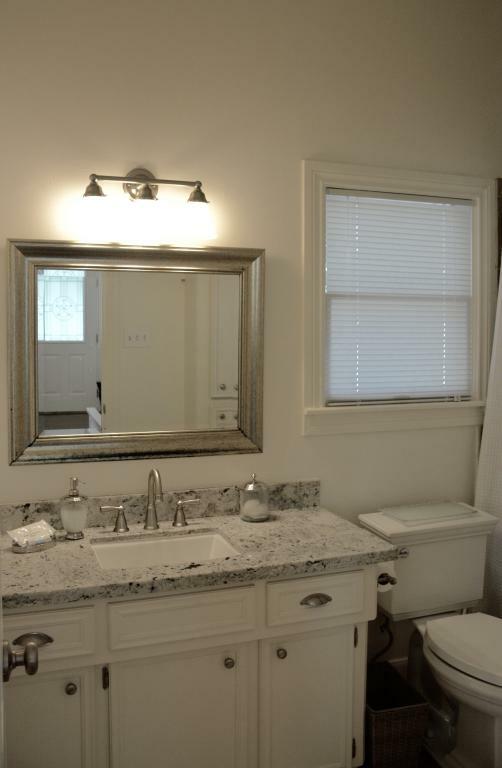 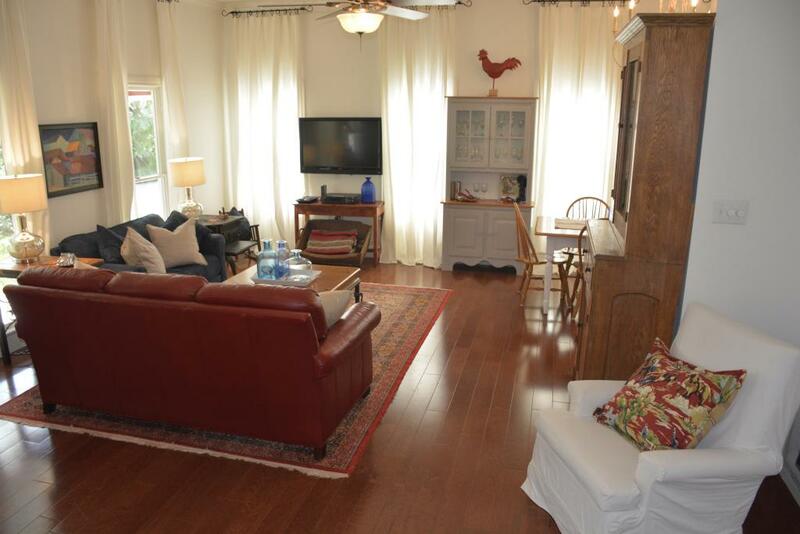 Convenient to wineries, shopping, restaurants, attractions/festivals, live music in the Brenham and Round Top area. 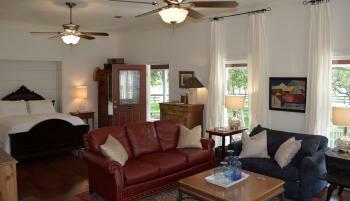 Both suites are on the ground floor. 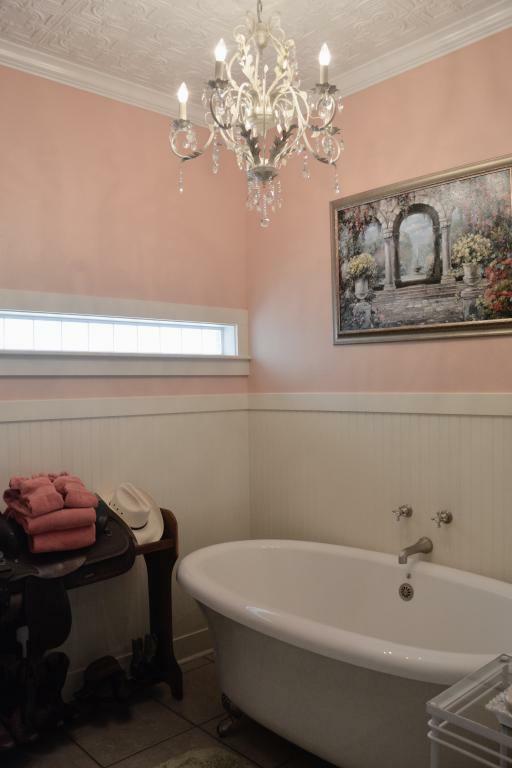 Rose Suite has a separate shower and a clawfoot tub.